Winners of the Esri 2016 Storytelling with Maps Contest were announced at the Esri User Conference in San Diego. 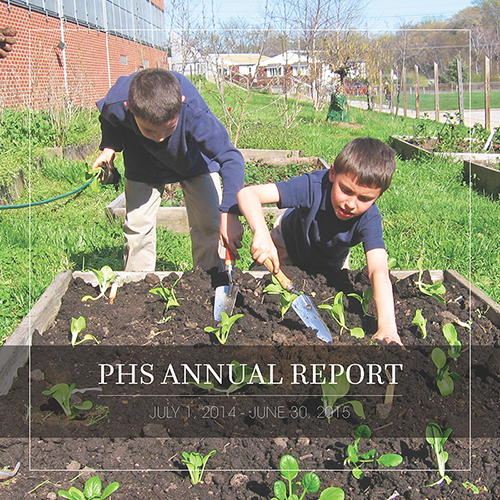 The Pennsylvania Horticultural Society took grand prize for its Story Maps of the organization’s 2015 annual report. The annual contest, which had a record-breaking 965 submissions, invites individuals and organizations to create narratives using Story Map apps that combine interactive maps with multimedia content. Contestants employed a variety of Story Map formats, including Story Map Tour, which presents a series of geo-tagged photos, and Story Map Journal, combining long-form text with rich multimedia content. In recent weeks, Esri released two new Story Map apps, Cascade and Crowdsource. Story Map Cascade employs full-screen scroll to enable immersive media-rich experiences; Story Map Crowdsource makes it possible to recruit audiences to share photos and experiences. “Story Maps are a new medium that taps the insights of geography and the power of interactive maps to enable anyone to create beautiful, useful, and informative narratives about pretty much any topic under the sun,” said Allen Carroll, program manager for storytelling at Esri and one of the contest’s judges. Other judges were Bill Douthitt of the American Association for the Advancement of Science, Victoria Mizell of the International League of Conservation Photographers, and Kaitlin Yarnall of the National Geographic Society. This year’s submissions were roughly double last year’s entries, indicative of the rapid growth in the popularity of Story Maps. Thousands of organizations across the globe are using Story Maps to raise awareness, inform and educate, recount events, announce projects, and publicize local amenities. View the Storytelling with Maps Contest winners in a Story Map.